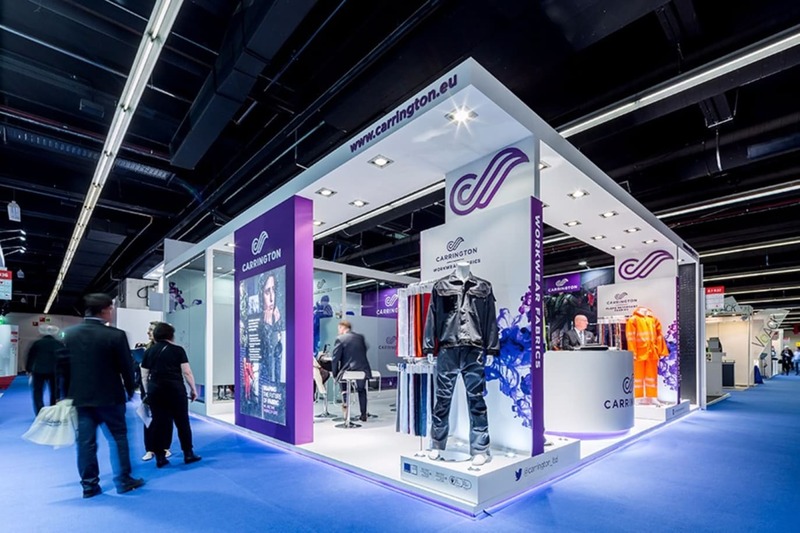 The organisers say that Techtextil is more than a trade fair – and describe it as a tailor-made business solution for the entire industry. At Carrington they couldn’t agree more, and saw it as a great opportunity to see close up just what’s making the industry buzz right now. This year’s show surpassed all previous events and was a perfect platform for the innovative solutions that are already shaping the future. Including one of Carrington’s own inherently flame retardant fabric developments, Flameban Max 310 Hi-Vis Orange. This fabric also won a Future Textile Award in the category ‘Best Product – Protective Textiles’ at the Future Textile Awards, the fabric’s second award in as many years. The show’s theme this year was ‘Connecting the Future’, and that’s very much what drives Carrington. Connecting the customers to products and services at the cutting edge – and connecting with them on a personal level to hear what they think.